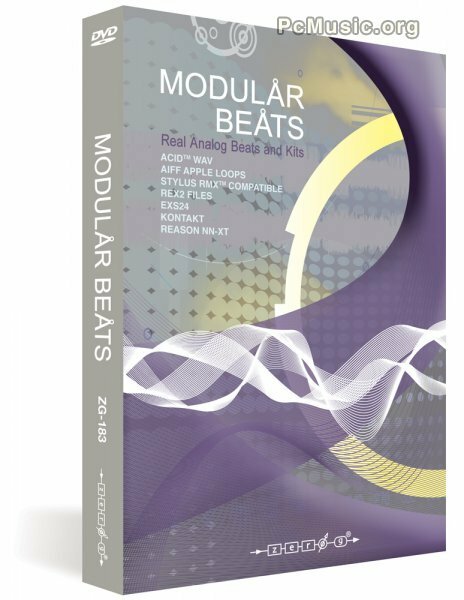 , 400The idea behind Zero-G Modular Beats was to make a usable, unique and fresh sounding drum and percussion library. To do that, no samples or drum machines have been used. The sounds and loops are 100% original and created using only modular synthesizers and analog monosynths. The basis of each sound is oscillators and noise generators. Over 25 GB of raw material and 4000 work hours have gone into this library. With over 1.5Gb of original material and 400 loops, 400 single hits and 300 modular drum kit instruments (containing over 2000 drum hits) designed for use in Kontakt, EXS24 and Reason, Zero-G Modular Beats contains everything from dance grooves to scary cinematic beats and with all those analog drum kits you'll be able to make your very own fully analog loops in no time.